We settled into our seats on a flight bound for the Bahamas to present Porsche Cars North America’s first national advertising campaign. The Chiat team had worked tirelessly honing the launch strategy, creative, media, and couldn’t be more excited to showcase our final work to Porsche and the entire dealer body. This effort was a culmination of multiple work-sessions and meetings at Porsche in Weisssach and Zuffenhausen. Including interviews with Helmuth Bott – head of R&D, Tony Lapine – head designer, and Professor Ferry Porsche. An hour into the flight the captain came on the intercom asking Guy Day to ring his seat location. The flight attendant delivered an urgent message from Porsche’s marketing director to call immediately upon landing. None of us had a clue what this could be about, and were quite shocked to receive any kind of message inflight. Upon arrival we were met by the normally gregarious CMO who told us the CEO was boiling mad about the 12-page insert copy that didn’t reflect his input when concepts were originally presented to him in Germany. And he wanted to fire the agency for not listening. This was not overstated as we listened to the fuming Porsche leader call us on the carpet, demanding the insert be changed before the national dealer meeting scheduled for the following day. During the initial concept review in Germany, the CEO questioned the last spread headline, And Professor Porsche is still not satisfied. Saying Ferry Porsche was indeed satisfied but was always striving for more. But it didn’t sound like a big issue, so we thought … or wanted to think. Rationalizing that it was probably a translation issue. At Chiat we always fought hard for ideas down to a line of copy. Not out of stubbornness or arrogance, but with strong conviction that it was best for creating distinctive, relevant and motivating brand stories. So we took the input as a suggestion rather then a mandate. This was pre-digital, using “state-of-the-art” stacked slide projectors, choreographed with audio and video projection for the national dealer show. So the only way to make the change was to write a new line, physically create a revised slide, and get it delivered to Paradise Island in time for the presentation. As if this wasn’t a big enough problem, we were on press … printing and shipping millions of inserts to run in the major newsweeklies, lifestyle, fashion and car magazines … as well as the Wall Street Journal, New York Times and major metro newspapers. “Stop the presses” I urgently relayed to my assistant in Los Angeles, gave him the new headline, and requested a slide be hand carried along with enough revised inserts to hand out to all attendees. A local dealer agreed to carry these materials for us. Little did we know he had a strange aversion to flying. Just before leaving to meet him at Nassau International Airport, I was informed this dealer was not a good flyer and would always consult his spiritual adviser before taking any flights … many times not showing up at meetings if his guru said it was not a good day to fly. Fast forward, the show was a huge success. Porsche and the dealers were ecstatic about the creative. Our favorite marketing director could once again keep down his food. And Chiat/Day retained this most coveted account, until we pitched and won Nissan, and eventually earned the Infiniti account. I still get chills reading this insert written by the amazingly talented Penny Kapousouz. It tells the authentic story of the Porsche brand; the extraordinary engineers and designers behind these amazing cars, the vision of Professor Porsche. Reminding me of the power of great print advertising. Every word worth fighting for. With major brands revisiting their digital ad spend, I’m confident we’ll see a resurgence in some of the most effective “traditional” brand building tools and channels; including big, bold, beautifully-crafted print ideas. 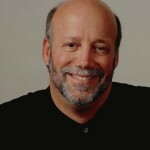 Steve Goldman is the President at World Wide Mind, a global creative communications firm. He’s held executive leadership roles with advertising, marketing and communications organizations such as BBDO and TBWA. Mr. Goldman is a Member of the Advisory Board for the Christopher and Dana Reeve Foundation, and has contributed several articles to Executive Vine. You can follow Steve on LinkedIn and Twitter. Next Bored Out of Your Mind at Work?